Congratulations! You’ve found your lifelong partner in crime and you’re ready to pick a date to tie the knot and make it official. As the two of you plan for one of the most romantic days of your life, you may spend a lot of time focusing on the most popular Summer wedding months. However, if you’re willing to possibly embrace the cold, winter weddings offer some truly spectacular perks. 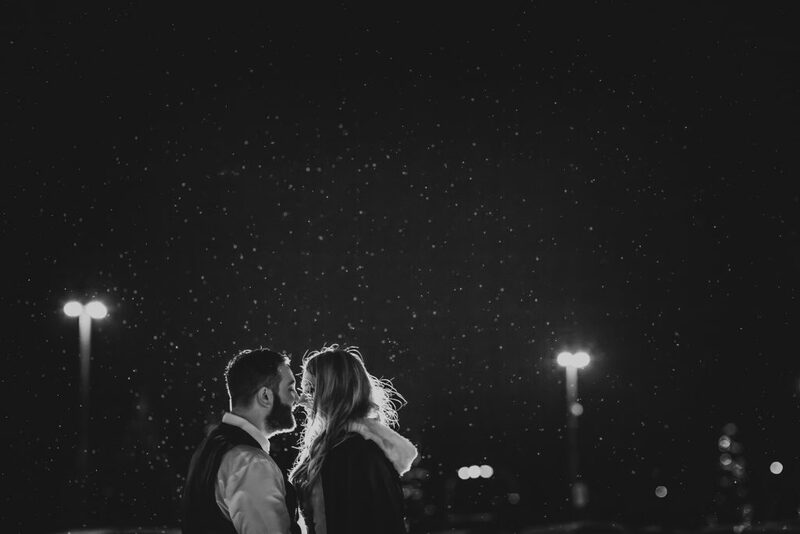 If you have never considered the possibility here are some benefits of planning a winter wedding. Imagine photos of you and your partner in the crisp white snow as the sun descends behind the mountains. 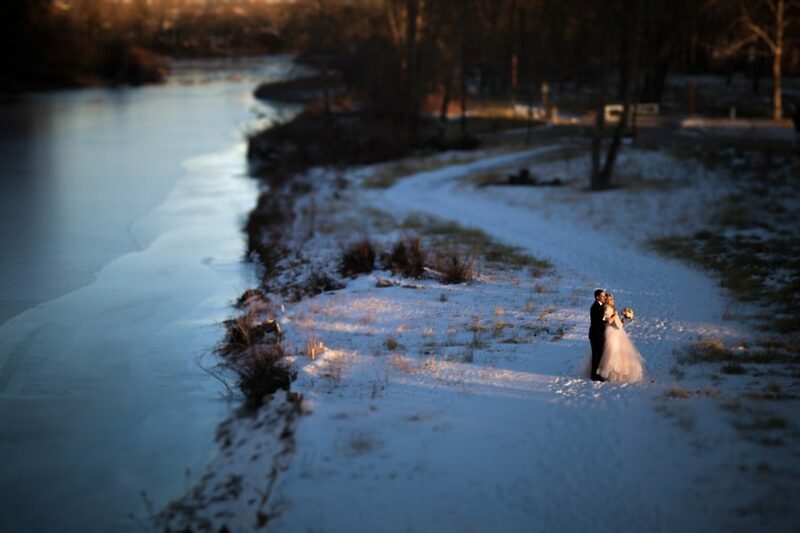 Some of our favorite wedding pictures have been taken in the winter. There’s something inherently romantic about the cold. It offers a great excuse (not that you’d need it) to snuggle up to your new husband or wife and just hold one another while you reflect on the vows you’ve taken. If you are getting married here in Alberta, you simply cannot beat the stunning snow capped mountains in the Banff and Jasper area in the Winter. 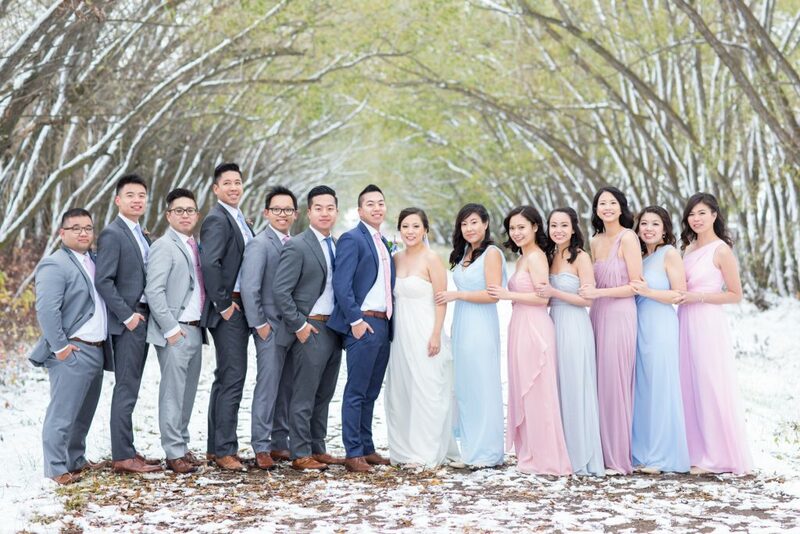 Trust us, the photos of your winter wedding will take your breath away. It’s no surprise that weddings are expensive. 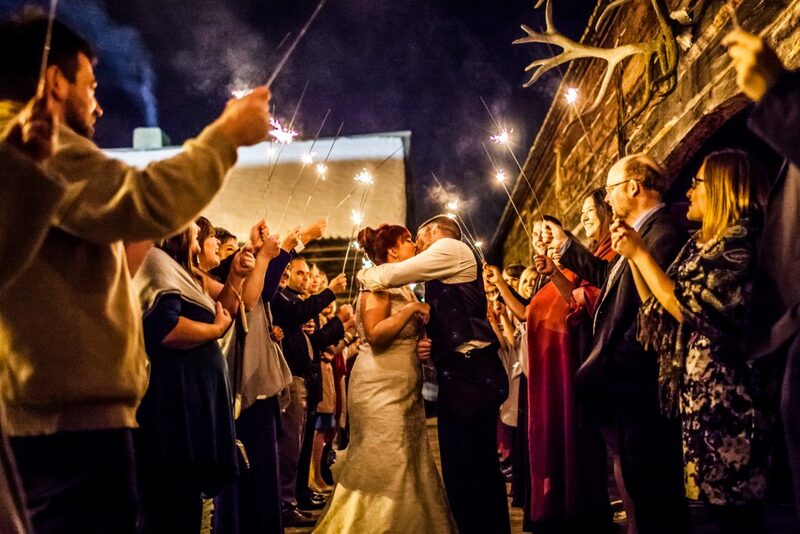 For couples looking to save some money, a winter wedding could be for you! Many wedding venues offers discounts or incentives during the “quiet” winter months. Granted if you are planning your wedding at a ski/winter resort, you likely won’t see these discounts as readily available. Venues aren’t the only places you’ll find deals. You may also be able to land great discounts on flowers, DJs, transportation, and even your caterer may offer a discount. Along with these lower rates comes a lot more availability. Is there a dream location or a favorite photographer (possibly us *hint hint*) you’re dying to work with? Odds are a lot higher that you’ll be able to book them in the winter. Most venues in our area book 12-16 months in advance, but during the winter months they have much higher availability. There is also the small (but still relevant) chance that your vendors will have more time to focus on your wedding since they won’t be stretched so thin. You may even end up with some extra floral arrangements or a DJ who stays an extra half hour just because they have the time. 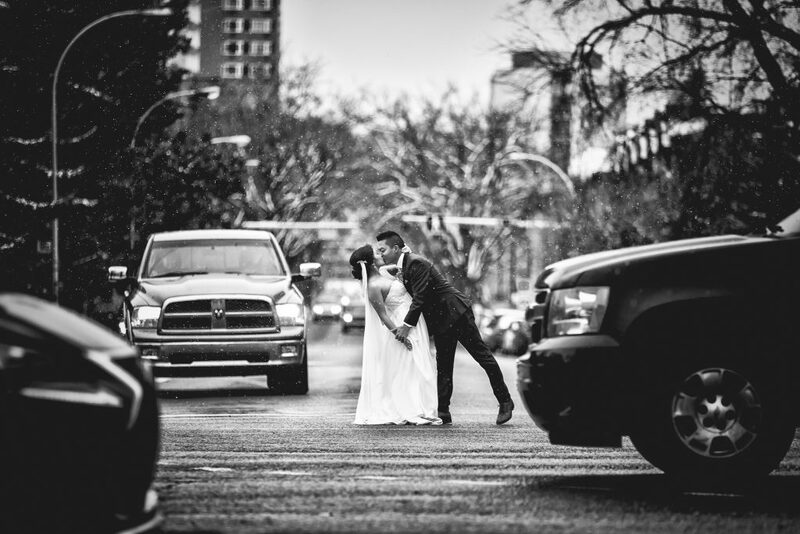 Being based in Edmonton, we typically book 16-18 weddings from May-October. November through April usually only sees 4-5 bookings. 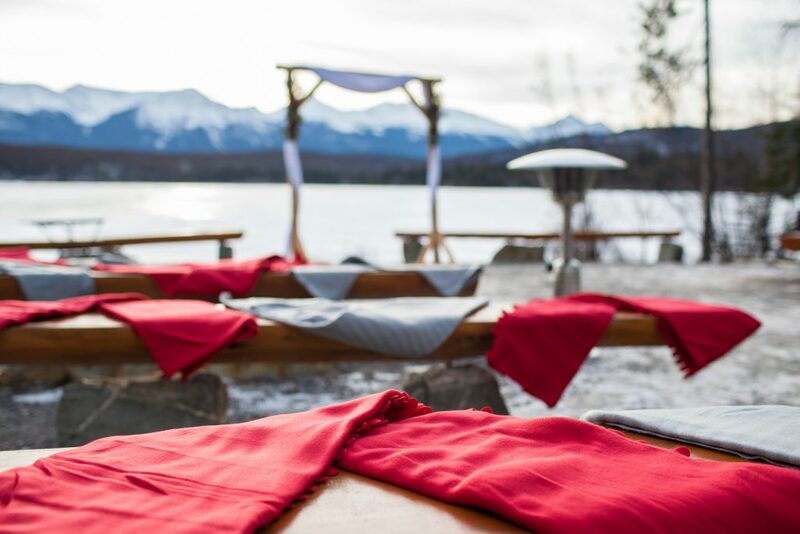 We personally love winter weddings, especially those in the mountains! If you plan on inviting a lot of out of town guests, they may have an easier time showing up in the winter. During the summer months, people frequently have vacations planned well in advance. Your wedding might conflict with the other weddings or family vacations. During the winter, it’s less likely that they’ll have conflicting plans. Winter weddings are a great excuse to wear an awesome cape, or beautiful shrug. You can also add to your outfits with cute scarves, gloves, boots and all kinds of other accessories. These accessories can add a touch of colour or texture that most couples would not have in the summer. You won’t be a hot mess! Summer weddings can be hot, and add to that the fact you may be wearing one of the heaviest garments of your life! If you are averse to sweating like you just finished an hour of hot yoga, think about a wedding when its much cooler. You don’t even have to wait until the winter, a late summer or fall wedding would do the trick. Personally speaking we can tell you that during the summer our turnaround time is the longest – 4-8 weeks for most full day weddings. In the winter, there is no backlog of weddings, family pictures, or engagement sessions. During the summer you can attend BBQs, go to outdoor movies, and go camping in abundance with your spouse. In the spring, you can go on long walks and bask in the beauty of fresh flowers. The autumn is full of bright red and yellow leaves and cool nights in. But the winter can sometimes feel like it’s dragging on. That’s why having a winter anniversary offers a unique sense of romance to the couples who choose to embrace it. When the nights are longer and the world is colder, there is something so beautiful and comforting about celebrating the day you decided to say, “I do.” Imagine an anniversary weekend in a little cabin in the woods, just the two of you taking a break from the long winter months. Winter anniversaries really are the best! 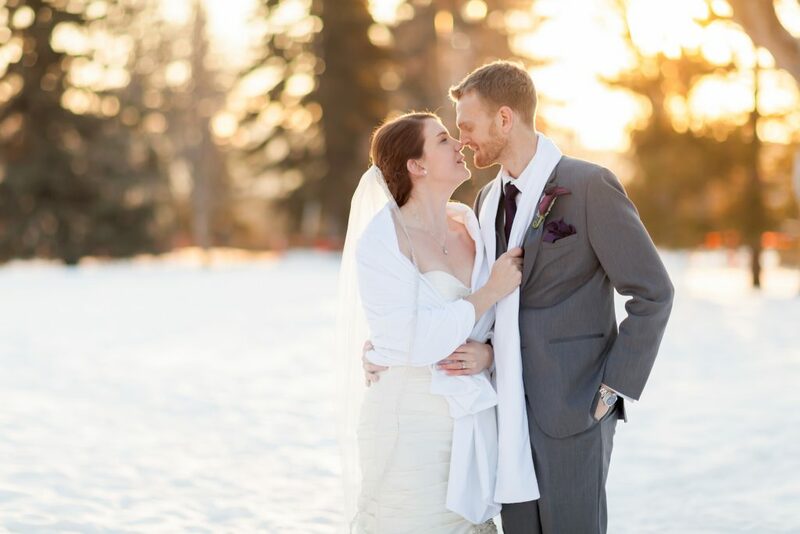 Take it from us, we got married in the dead of winter on December 28th! Every year it is an excuse to plan a winter vacation away from the -30 and 6 feet of snow! All this being said, there is no right time of the year to get married. The best time is whenever you and your partner are ready to take your vows and start your new life together. But if you’re shopping for a wedding date, give the winter months a second glance. There are some fantastic perks to having a wedding in the winter! 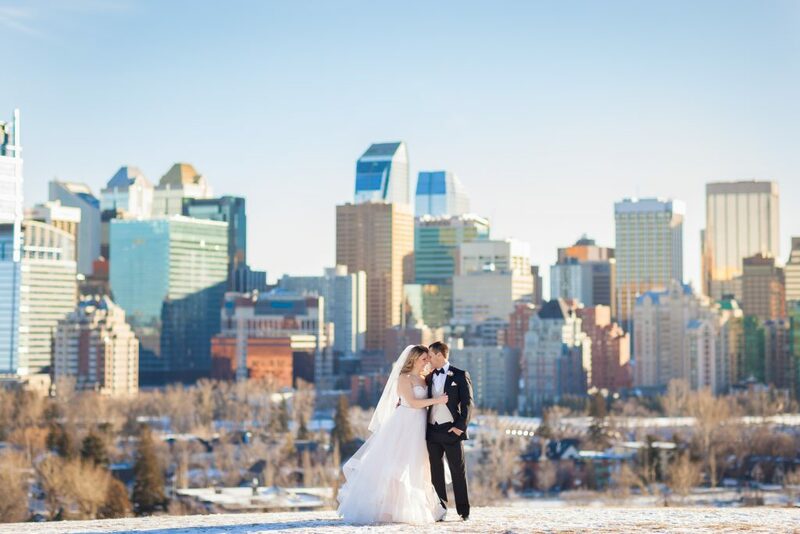 Are you planning a winter wedding in Edmonton or Alberta? We’d love to be a part of your big day! Contact us to learn how we can help you make your wedding day unforgettable.